Manuel Noriega, Panama's ruthless drug-running military dictator of the 1980s, is to be returned home on Sunday, headed for a jungle prison to serve a 20-year term for the murders of opponents during his rule. 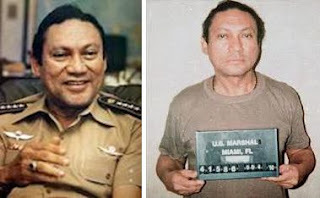 Noriega, now 77, was toppled in a U.S. invasion of Panama in 1989 and has spent the last two decades behind bars, first in Florida and then in France after being convicted for drug trafficking and money laundering during his time in power. Read full report for more.